Apparently America is nothing without our illegals. Thus, Pelosi let the cat out of the bag as to why she and other Democrats oppose President Trump’s wall. She wants illegals to vote. Pelosi spoke at a news conference on voting rights with Rep. Lloyd Dogget (D-TX) in Austin, Texas on Tuesday. According to House Speaker Pelosi said, “newcomers” should “be fully part of our system” after arriving in the United States. 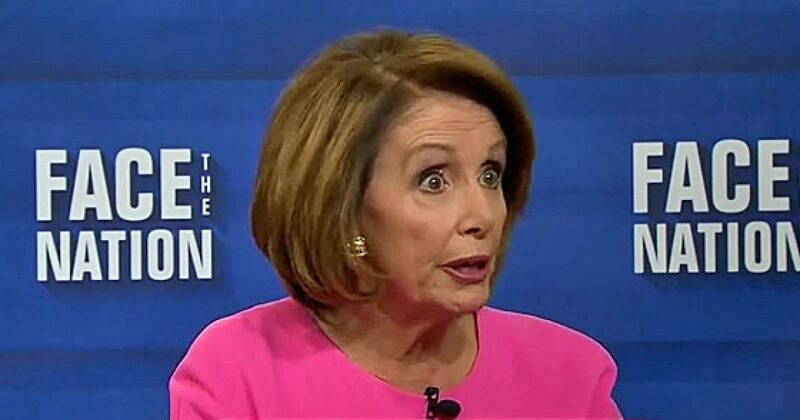 Newcomers are in fact Pelosi’s euphemism for illegals. “So, when we talk about newcomers, we have to recognize the constant reinvigoration of America that they are, that we all have been – our families,” Pelosi said. “And that, unless you’re blessed to be Native American – which is a blessing in itself that we respect – but that constant reinvigoration of hope, determination, optimism, courage, to make the future better for the next generation. “Those are American traits. And these newcomers make America more American. Sadly, neither Americans or our LEGAL newcomers can accomplish this “reinvigoration” of the country. It takes illegals to do this. Thus, Pelosi pitched the importance of passing H.R. 1, the “For the People Act of 2019″. And she liken the dog sh*t legislation to that of the plight of blacks when Democrats were shooting us with water cannons and German Shepherds. Of course, they’re only taking this action because many illegals were busted after voting for Hillary. And when liberals try this tactic in 2020, they want to decriminalize it. Undoubtedly Pelosi tipped her hand. Democrats have never wanted border security or comprehensive immigration reform. The only reform they want is open borders. And American citizens should just grin and bear it, just like we did with that piece of sh*t legislation called Obamacare. Republicans, are you even paying attention? The Rand Pauls of the world who now try to thwart President Trump from building a wall should be ashamed of themselves. They have no idea how to play the long game. For decades most of the Republican politicians watched as Democrats gave lip service to immigration reform. They agreed publicly, yet nothing happened. It’s easy to find videos of Obama, Pelosi, Schumer, Clinton, and almost all Democrats agreeing with Obama on the border crisis. Yet again, nothing happened. That wasn’t by chance. Nothing happened for a reason. So now we know what the reason is. But what will Republicans do? If they perform as they have in the past, they will do nothing, and America should just merge with Mexico. Many states already have. If you want to be part of the various lawsuits we will launch against these states, join us here.